Hosted by: Books, biscuits and tea. 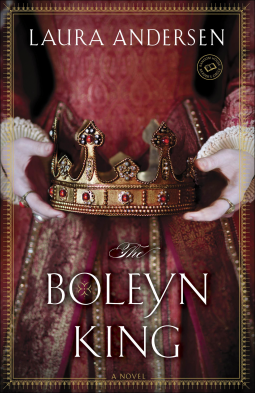 Laura Andersen – The Boleyn King & Melanie Dickerson – The fairest beauty. That is it for this week. I'm so happy with the books I got! Awesome haul! Towering looks great. I love the cover. Towering does look awesome! Sadly I was rejected a galley. Oh well. Have plenty else to read til it releases! Happy Reading! Ooh, Towering sounds like it's going to be awesome! Oooh, they all look so good. Pretty covers. Great haul. Happy Reading. Great haul :) I'm liking the sound of The Boleyn King.. The Tudor period has always been my fave :) Happy reading! They all look lovely, Mel! You've got a historical/fantasy vibe going this week. :) Good for you, sometimes it's really nice to mix things up! Enjoy! I requested Towering weeks ago, yet, haven't heard anything from it. ::sigh:: I hope you enjoy it. Have a great day, and thanks so very much for visiting my STS! I also requested Towering, fingers crossed! And The Fairest Beauty looks good too! Really like the look of The Boleyn King and The Fairest Beauty! 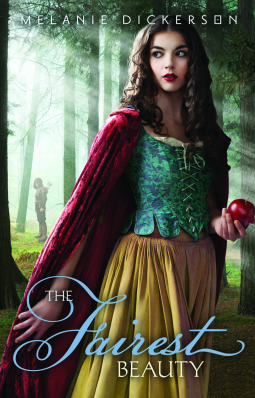 I love historical fiction and fairy tale retellings! Great books :) Enjoy! Sweet books! They all look great, especially Towering. The Fairest Beauty has a gorgeous cover, and I really like the sound of Towering, too. I read a couple of good reviews for the latter recently. :) Enjoy your new books, Mel! I have heard good things about Towering, hope you love it. EEP! I have Towering too and I can't wait to read it. Enjoy. Towering sounds so good. Thanks for stopping by and happy reading! Awesome haul! I can't wait to hear your thoughts on TOWERING. I've actually never read anything by Alex Flinn, but I'm eager to see your opinions on her latest. Ooooo the fairest beauty :) it looks so good! Towering! I'm dying to read that one, but unfortunately Edelweiss and I don't get along very well. Enjoy! Ohhh pretty! I havne't read Alex Flinn yet, but I really should fix that. Enjoy! The Fairest Beauty looks really good. Happy reading and thanks for stopping by. Oh I really love the covers! Happy reading and enjoy! I think I want all three books you got. They all look like my kind of thing. Hopefully they're good. I really want to read Towering!!! I hope you enjoy all your reads. I love fairytale books! So your haul is amazing! Have so much fun reading them! Nice haul! I loved Alex Flinn's Beastly so I bet Towering will be amazing too. Happy reading! ooh interesting haul!! They're all fairytales.. i think. lol! Cant wait to hear of what you think of them! Great haul! Towering and The Greatest Beauty both look really awesome =D Hope you enjoy! Towering looks great! I love Rapunzel! Thanks for stopping by! Towering sounds really good! Hope you enjoy it :) Happy reading! I got Towering but loaned it to someone who is a huge fan of her. I haven't read any of her books yet. The other two look great too! I cannot wait to read Towering, because it looks really good. Rapunzel is one of my favorite fairy tales. The Fairest Beauty looks really good. Makes me want to curl up with some good ole fashioned fairy tales. Thanks for sharing and for stopping by! Enjoy your new books! Look at all that fairytale goodness! I can't wait to read My Fairest Beauty and Towering!!! Hope they are great. I also snagged The Boleyn King! Looking forward to it! The covers are gorgeous! 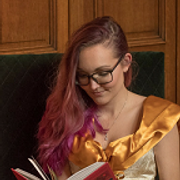 Personally, I don't like story retellings but I really hope you will enjoy them! Thank you for stopping by my haul! 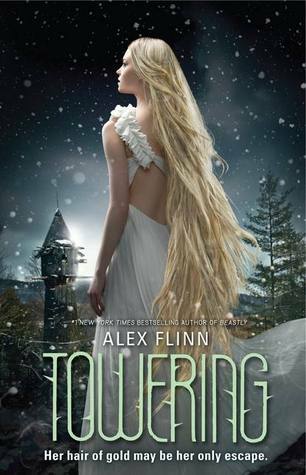 I so badly want to read Towering- I love Alex Flinn's books. Great book haul this week! Ohmygosh they look amazing! Hope you enjoy reading them! All three of those look AWESOME! I'm so excited to read The Fairest Beauty and Towering (it has such a gorgeous cover too)! Looking forward to your reviews! :) Happy reading! Oo Ashley just got approved for an ARC of Towering! It sounds so interesting! So excited for the two of you!! Ha, you keep getting books one of my friends would love. :D She's obsessed with the Tudors so I'm sure the first one would be right up her street. I hope you enjoy it too!